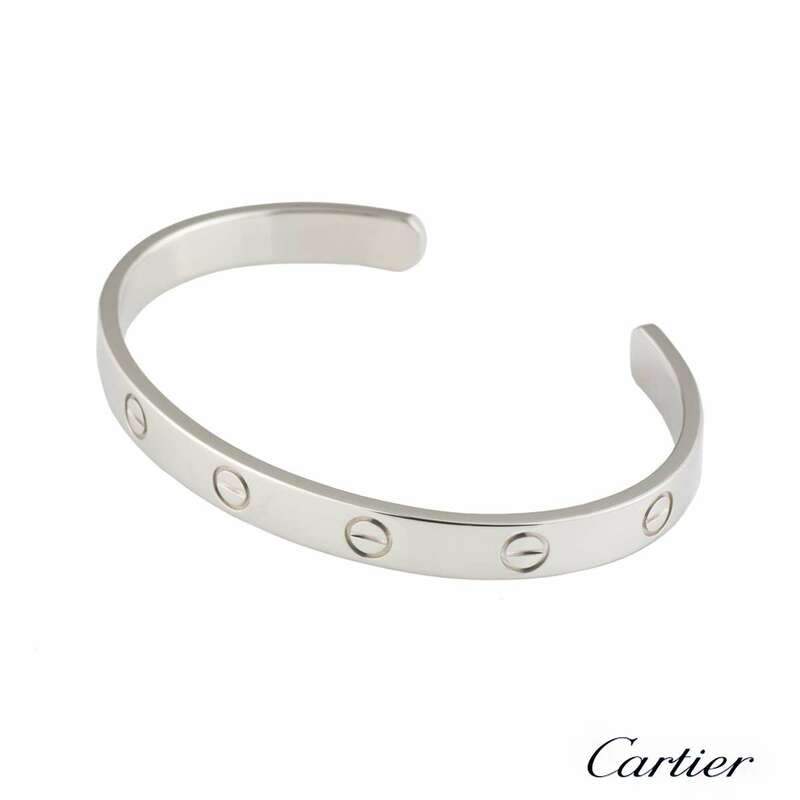 A signature 18k white gold Cartier plain cuff bracelet from the Love collection. 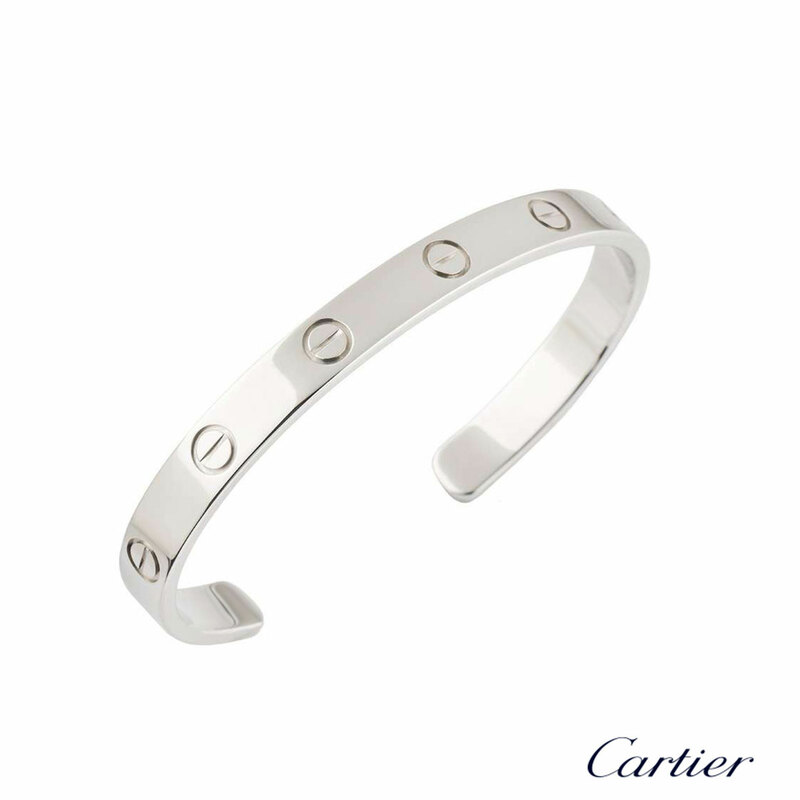 The bracelet has the iconic screw motif displayed around the outer edge of the bracelet and features a cuff style. 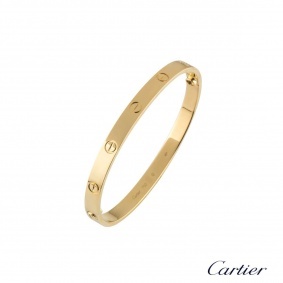 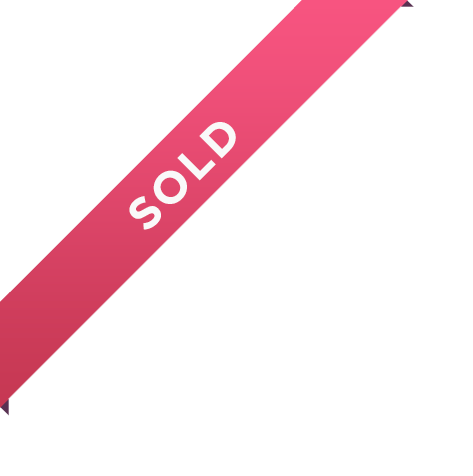 The bracelet is a size 20 and has a gross weight 28.00 grams. 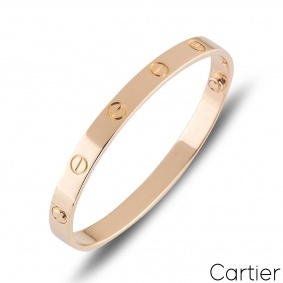 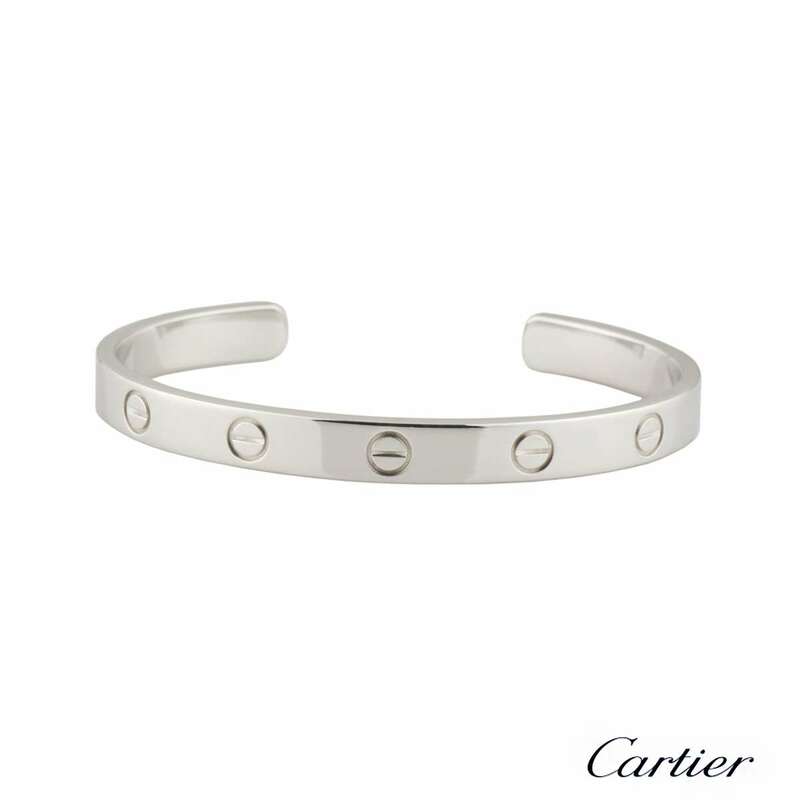 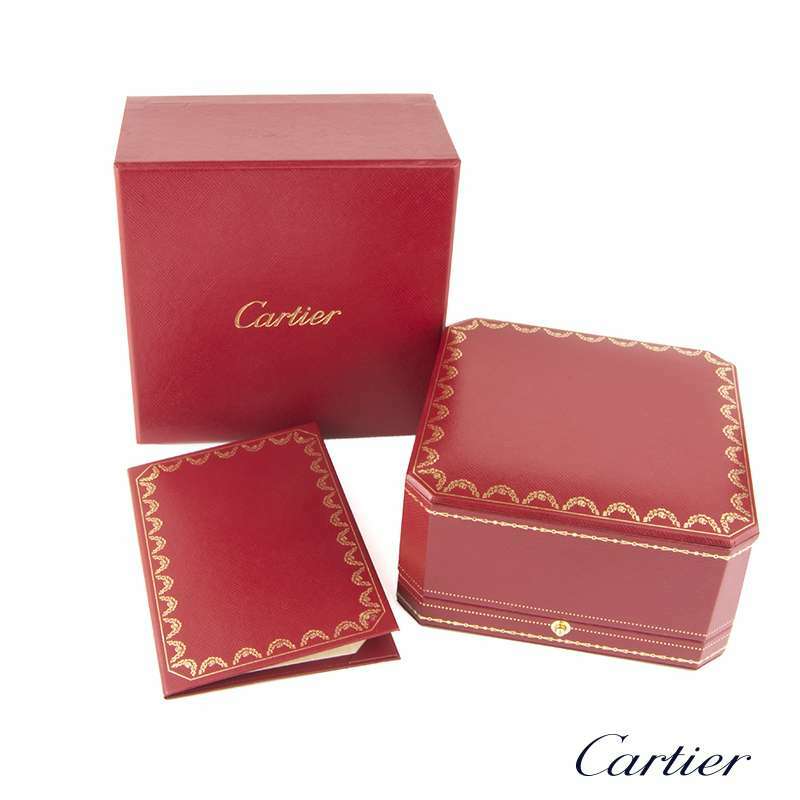 The bracelet comes complete with a Cartier presentation box and Cartier sales invoice dated April 2011.